It is your top priority to raise Brand awareness among the public in general, in today’s highly competitive world of business. 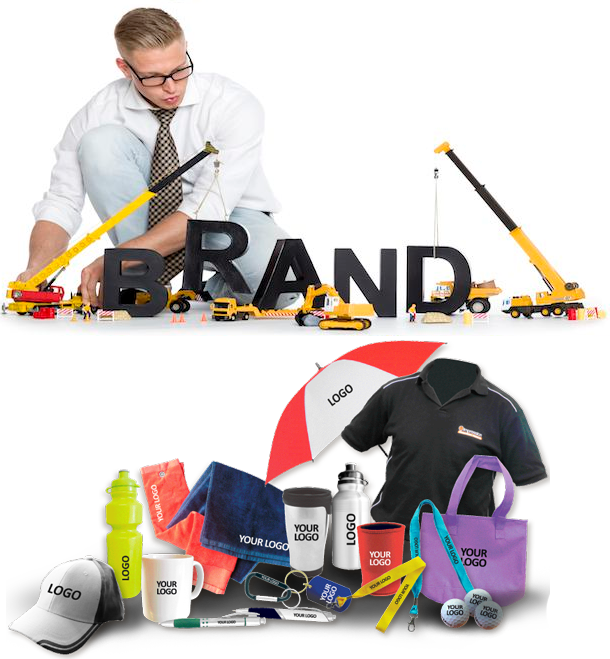 The best way to make your brand linger in the mind of potential consumers is by getting branded promotional items printed and using them for enhancing brand image and increase brand awareness with effective promotional measures. Brand’s visible elements include; colors, name, logotype, symbol, and design etc. and together these elements help to create brand awareness and distinguish your particular brand from the rest. Your brand would be more easily and readily recalled if you communicate constantly with your target audience via effective Marketing tactics. As market competition is becoming more and more intense companies are resorting to innovative and sure-shot ways for promoting their brand. Calendars, art books, bags and the usual promotional products such as t-shirts, key chains, fridge magnets, mouse pads, and caps are used as effective brand awareness tools. All the promotional products should be designed with professional expertise and customized effectively for representing your business precisely and creating a perfect brand identity. Customized bags are considered to be the most commonly used promotional product by brands and companies all over the world. These are used mostly by companies as they may be customized easily with company’s tagline and logo. They are effective in displaying over a reasonable span of time and they are quite economical. Custom envelopes in a spectrum of colors and diverse sizes could be used to reinforce your brand. They are custom-made with unique text, image and business logo. They may be used externally or internally for all sorts of business communications. Business envelopes need to be designed and printed well with your company logo as well as the company address as they would reach several stakeholders. A customized letterhead helps to maximize brand awareness and demonstrates professionalism. If you include contact information on any hardcopy correspondence it makes it easier for clients to place an order for more products and services; and this would definitely affect brand recall and your bottom line positively. Custom business cards are known to play a remarkable role while networking. When you get your business cards printed by a reputable printing service, you get high quality stuff. Premium quality business cards are used for reinforcing your brand image and are designed cleverly to incorporate simple and legible information. Never choose a cluttered card instead, emphasize on important aspects such as color combination, choice of images and the layout for a professional look. The art scenario is increasingly becoming very competitive and even artists need to market as well as brand their artwork. Today an artist needs to think of effective ways for promoting and developing his brand. Simply speaking marketing is referred to how a particular artist reaches his target audience with the help of targeted advertisements, offering promotional products and with effective public relations service. Branding is much more than simply marketing. Branding is known to define the artist and also, convey what the target audience considers him to be. Each time a prospective or a potential buyer is able to establish contact with the artist either in print, person or some other ways they are creating an opinion regarding the artist and his brand. There are several Prints on Demand or POD websites that would be definitely allowing the artist to carry on designing, printing and publishing his art book. An art book can be used effectively by an artist for Marketing and most importantly, for presentation purposes. Presenting his work through a vibrant and well-designed art book is a particularly nice idea as this could be used as a giveaway to gallery owners or potential buyers. Some art reps believe in keeping an artist’s art-book either on file or to demonstrate the artist’s work to the prospective clients. Art book publishing is an effective medium allowing the artist to showcase his art work to the prospective clients in a wonderful and most certainly in an unforgettable way. Today art book publishing is exploited more by artists as a great marketing tool. Client’s who wish to know more about an artist’s work, are usually handed over his art book for a correct evaluation.